Whole full body life size taxidermy mounts are impressive wildlife taxidermy art at it's finest. We carry a limited selection of these wildlife, taxidermy lifesize mounts. We sometimes have mounted animals such as full size grizzly bears, cougars which are also known as mountain lions, wolverines, mountain goats, and other unique species of mounted north american animals. We even have a very rare, real authentic mammoth tusk for sale. We also have mounted fish. A taxidermy fish mount is also a great conversation piece. 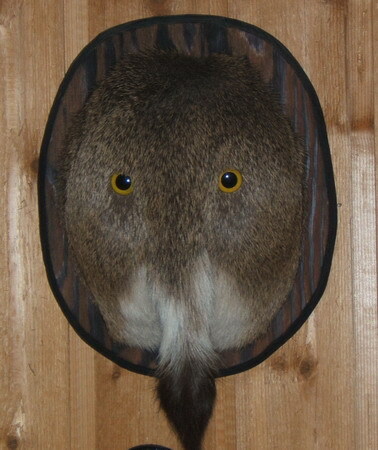 Check out this page if you are looking for taxidermy mounted heads, "head mounts". Nothing can enhance a room like the addition of a beautiful life size taxidermy mount. 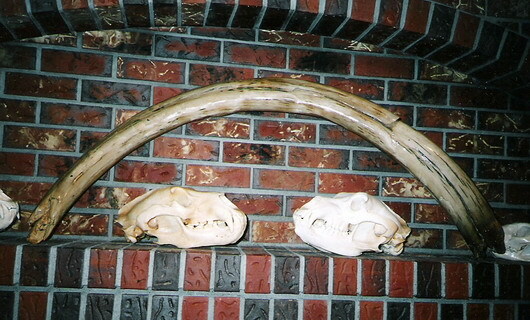 Taxidermy wildlife mounts will add greatly to your decor. As with all our taxidermy mounts, the taxidermy workmanship of our life size taxidermy mounts is of the highest standard. Check out this page if you are looking for a taxidermy bear rug : "wildlife fur rugs "